Mattresses with visco-elastic material include a technical foam which changes shape and firmness depending on body heat. The visco material adjusts to the body, distributing pressure throughout the whole body and enhancing deep sleep. Since it is combined with other materials, which provide support and firmness, our body undergoes quality sleep. Its reactivity to heat and pressure creates an exact profile to each person's shape. It helps blood circulate, which reduces the times a person changes position while sleeping, increasing the quality of sleep. The sensation of weightlessness it provides helps create a more favourable environment to fall asleep. Viscoelastic foam is a material mainly used in the top layers of the mattress, providing a pleasant level of comfort. 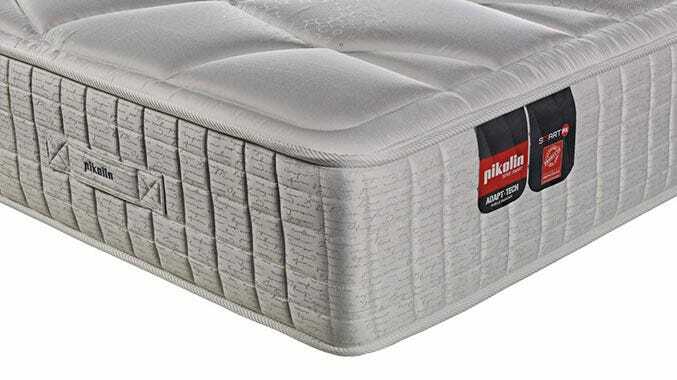 This way we can offer mattresses with any possible core: spring mattresses, foam mattresses, Bultex mattresses, Bultex mattresses with viscoelastic comfort layers.